Pulling from her experience of love, heartbreak, happiness and sadness, Jennifair creates music that pushes boundaries and projects both confidence and vulnerability. 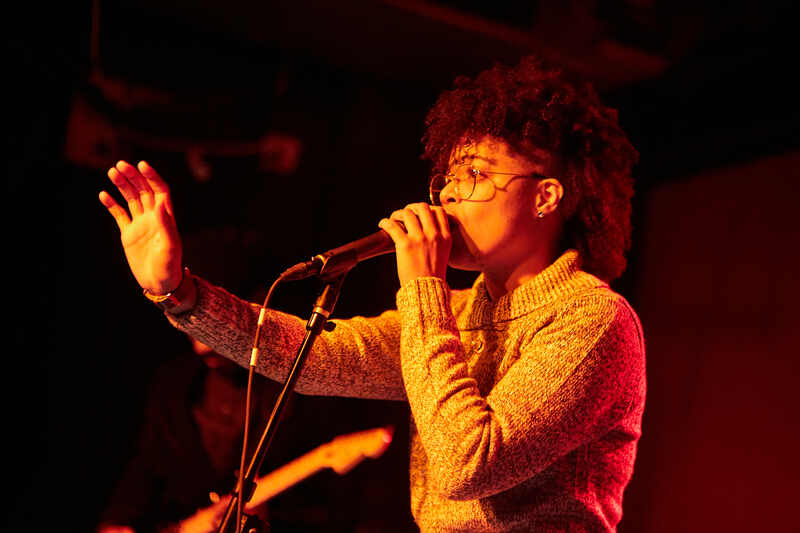 When the Southside Chicago native relocated to Brooklyn, NY, Jennifair continued to develop her distinct vocal range, as highlighted by her introspective journey on the album A Tale of 2 Cities produced by Drum Mage. When she performs live, Jennifair takes over the stage, gently bringing listeners into the front row of her inner world. Whether she’s singing or rapping on a song, Jennifair uses her subtle yet powerful voice to experiment with brand new sounds on every record, while still maintaining her authenticity as an artist. B-Side is BRIC TV's live in-studio music series and screening, featuring performances from emerging and established musicians -- free of charge. The in-studio seating is very limited and is FIRST COME, FIRST SERVED. RSVPs do not guarantee entry and are used solely for measuring attendance. These performances are open to the public, however our studio space is limited. For this reason, the performance will be broadcast on the Stoop simultaneously. Can't make it to the show? B-Side airs live Thursdays at 8pm on BRIC TV. STREAM LIVE! The BRIC TV Studio is a state-of-the-art, glass-walled TV studio located inside BRIC House.